MALDI-8020 - Benchtop MALDI-TOF: Rookie of the Year! Linear MALDI-TOF instruments have traditionally been regarded as low performance instruments, capable of only average mass determination with low resolution. The MALDI-8020 breaks that perception. Innovative instrument design and technological advances have allowed the size of the instrument to be reduced whilst being able to maintain the performance specifications of the equivalent larger floor-standing Axima model. Learning to detect the adulteration of extra virgin olive oils. 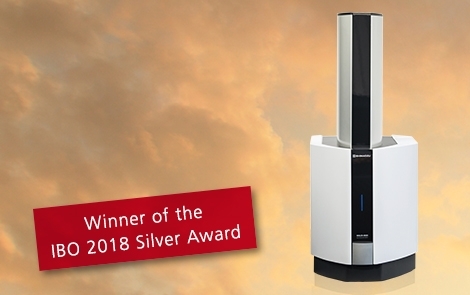 With the release of the MALDI-8020, Shimadzu are able to offer an affordable, easy-to-use, benchtop MALDI-TOF mass spectrometer designed to meet current market demands for routine MALDI workflows.